In our community we have dozens of clubs and organisations that work hard to support a particular activity, and many that spend a lot of time providing structured support and facilities for our children to play safely and engage in team sports and healthy activity with the right mentoring. Horndean Football Club is one of these clubs and has several very committed and enthusiastic volunteers who are very passionate about the sport. HFC play in the Wessex League where they are known as ‘The Deans’ and anyone of any age interested in playing for a progressive forward thinking club should contact the club directly on 02392591363. Their first team and reserve team coaches have also committed to running guest training sessions this season with their younger members, something they are really excited about. Thank you to Tony Devaney from HFC for providing some words about the club below. 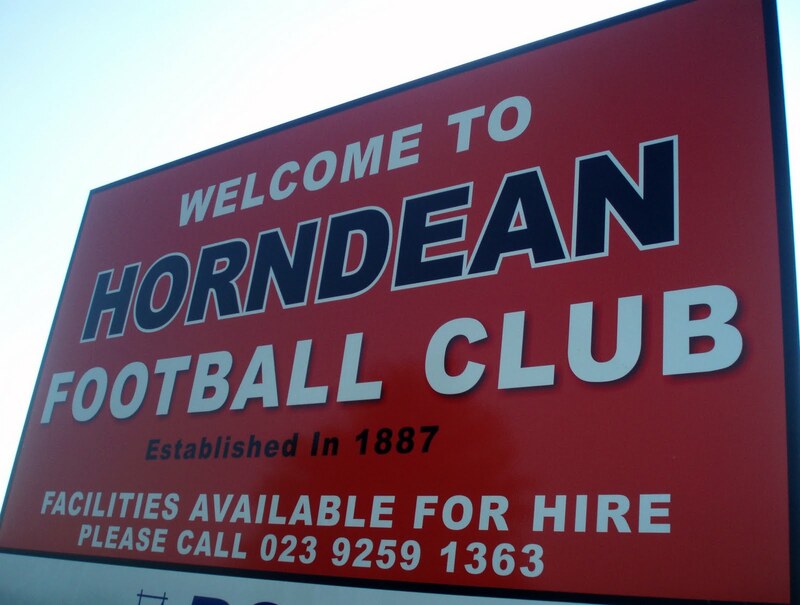 Horndean FC was formed in 1887. The first recorded game was played on the 19th October of that year against Red Star of Havant, which Red Star won 1-0. Until World War 1 all matches were friendlies and on one occasion the game was controlled by two umpires, one in each half of the field. Shortly after the 1914-18 war, the club joined the Waterlooville & District League and it was not until 1926-27 season, when the club was reformed that it won the league title, further successes followed in 1930, 31 and 32 winning the trophies outright together with the local cup. 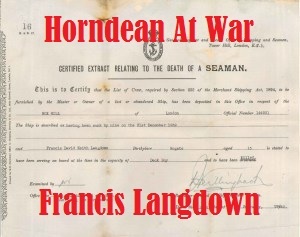 During the 1931-32 season the late Frank Bryson scored 83 goals, and during his time at Horndean he scored a total of 384. Both records remain to this day. In the early days the club played on a pitch at Blendworth Hill, on ground behind the old workhouse opposite what is now the Colonial Bar, and later in a field behind the Brewers Arms in Five Heads Road and the pub was used for committee meetings. The original club house was opened in 1948 having been built by club members and supporters on land donated by Harry Heath, whose family have continued with the support of the club to this day. 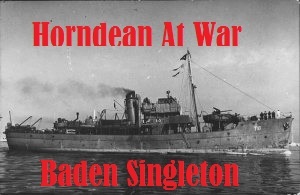 Horndean entered the Portsmouth League and in the 1953-54 season they won the division 2 title. Mr A.J.Rowe put together a successful youth team and in 1961-62 they won every game scoring 125 goals with only 15 against. Many of these players graduated to the first team and gained promotion to the Premier Division, and after winning the Premier title for three seasons running 1969, 70 & 71 they were accepted into the Hampshire League Division 4 in 1972. In 1979-80 they won the double, which included the Portsmouth Senior Cup played at Fratton Park. In 1986 we joined the newly formed Wessex League. The club house was rebuilt by Terry Cannon in 1987 after the infamous hurricane destroyed the old building. The dressing rooms and team room building was also built by Terry Cannon in August 1988. 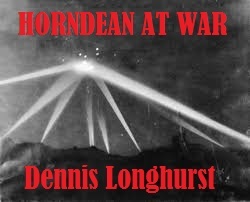 In June 2008 the management team of Denmead & Purbrook took over the running of trouble stricken Horndean FC which was established over 127 years ago. This makes the club older than Portsmouth Football Club. When Pompey’s plans are for a multi-million pound stadium, Horndean had to make do with the development of a 25 year old shed, and a club house new roof. But thanks must go to all the volunteers that have given up their time in making this happen. We want to encourage the youth element so that there is a natural progression through the stages from youth to adult football. This is complemented by the new youth policy which is the start of our future. We are a non-profit making organisation and really would like to see more locals supporting grass roots football. Our first friendly fixture takes place on Monday the 7th of July at Five Heads 7.45pm kick off. We have also been very fortunate to recruit two very competent reserve team Managers, Richard Bessey & Mick Webb who will be Managing and developing the reserve team. We look forward to seeing you and your family’s at Five Heads, in addition we are always looking for volunteers to maintain the ground, there really are always things to do, from painting to putting in new fence posts, we would also welcome help from new sponsors to help fund the cost of materials.